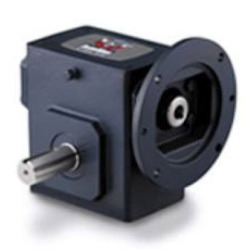 Prominent & Leading Exporter from Vadodara, we offer high performance grove gear worm gearboxes. We are indulged in manufacturing, supplying and exporting a wide gamut of High Performance Worm Gearboxes. Keeping in mind the various requirements of our esteemed customers, we manufacture these products using high quality material. The material used for manufacturing the offered range is sourced by our procuring agents from trustworthy and reliable vendors of the market. Looking for Worm Gearboxes ?